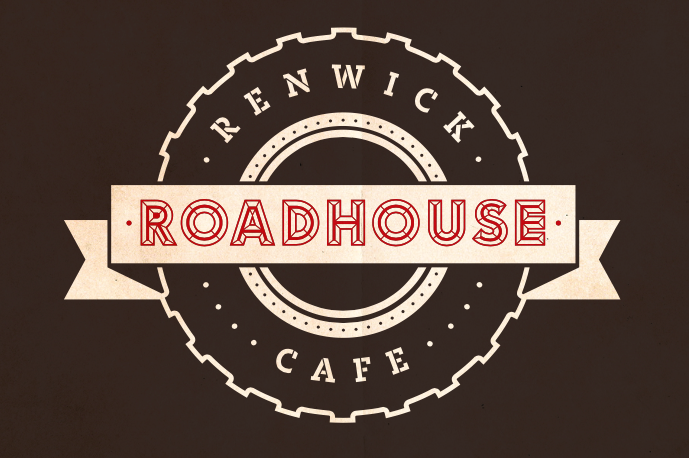 The Renwick Roadhouse Cafe was opened in June 2016. The township of Renwick needed a meeting point for locals, truckies & tourists alike - and even more so - somewhere to grab a good coffee and a bite to eat! The fare is fresh, simple and varied. Fresh salads & gourmet sandwiches, homemade pastries and a mass of beautiful display food baked in house and also sourced from a highly regarded local baker Fred of De Broods Bakkers. Local free range eggs & free farmed bacon served with the breakfast dishes & a tasty lunch menu with a Tex-Mex feel to it available too. We are now also Fully Licensed and have a selection of craft beer, cider & wines to go with your meals. We also open late - on Thursdays, Fridays and Saturdays to give locals a place to come for a nice cold beer and a bite to eat. Open late every Thursday, Friday and Saturday! Come in for cold beer and delicious PIZZA! choose from our many toppings, served on your choice of wholemeal, white or GF bread. David & Kristine are the owner operators at the Roadhouse. They have lived in Marlborough for over 20 years and enjoy being part of the Renwick community. With backgrounds as both sculptor and teacher, they have changed up their daily routine and now bring their creative blood to the Roadhouse - where they are passionate about good coffee, tasty fare and of course - craft beer! We are proud to stock Lucky Taco sauces and their wonderful Chilli Salt! Friends of ours, Otis & Sarah Frizzell started making these sauces after initially honing their mexican cookery skills in Mexico and then in their own Lucky Taco Truck in Auckland. They now make the most amazing sauces amongst other spicy treats. Check out their website and TRY their sauces - choose from Jalapeño, Chipotle (Smokey) & Habanero (super hot). Now selling Santos Coffee in Kilo bags of Beans and 250gram bags of Plunger Grind. We use Santos Coffee, the beans are of Brazilian origin, roasted here in NZ. Santos Coffee is part of the Rainforest Alliance and is responsibly sourced. We have a great selection of beverage options both hot and cold. Drinks on offer: Homemade Natural Smoothies / Hot or Iced Coffee / Selection of Teas including English Breakfast, Earl Gray, Green Tea, Chamomile, Peppermint & Red Bush / Hot & Iced Chocolate / Allganics Juices / Banjo Brews Kombucha (Fermented Tea) / Allganics Organics Range; Cola, Ginger Beer & Lemonade / NZ Sparkling Mineral Water. We are also now Fully Licensed and have a selection of craft beer, cider and wine to accompany your meals. FREE WIFI, Wheelchair access, Off Street Parking (including Campers & Large Vehicles), Large outdoor garden and deck area, Kids play areas inside and out, Toilets. We supply freshly baked & arranged catered lunches, morning teas or special platters for any occasion. Please email or call Kristine for more details. You do not need to make a reservation but we suggest that you do call us if you have a group of 6 or more - so we can save you a good table! Call (03) 929 3320 - 7am – 6pm Monday to Wednesday AND 7am to LATE Thursday, Friday and Saturdays. Whether you are driving to the West Coast, Nelson, Picton, Kaikoura or any of the in-between - we are on your way! Conveniently located on State Highway 6 between Nelson & Blenheim, we are also at the turn off for State Highway 63 to the West Coast and minutes away from the by-pass State Highway 62. Plenty of parking for all types of vehicles.